Making quick campaign against Fake News, WhitsApe announced Wednesday that it will expand its radio campaign area to 10 more Indian states. These states include Maharashtra, Andhra Pradesh and West Bengal. The Facebook company has faced severe criticism from the government regarding the prevention of false news from its platform. Increasing fak news has increased the incidence of mob violence in the country. 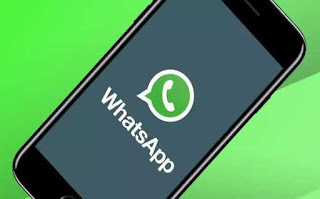 Whatsapp started its first phase of Radio Campaign from August 7 on August 29. The campaign was told that the users were asked to verify the news of the news before sharing any information they received and before sharing them. The campaign started in the first phase of the states which include Bihar, Jharkhand, Madhya Pradesh, Chhattisgarh, Rajasthan and Uttar Pradesh. In the WhitesAp statement, the second phase of the campaign started on September 5. Under which radio commercials are being broadcasted through 83 radio stations of All India Radio. These states include Assam, Tripura, West Bengal, Gujarat, Karnataka, Maharashtra, Andhra Pradesh and Telangana, Odisha and Tamil Nadu. This campaign will be run in 8 regional languages ​​Assamese, Bangla, Gujarati, Kannada, Marathi, Telugu, Oriya and Tamil. The campaign will last for 15 days. The statement said that the campaign has been prepared in an easily understood format. By which the users can catch the wrong instruction. The campaign will also tell about the Challenge of Fake News. Keeping in mind the general elections held next year, the government has taken a firm stand against social platforms like Facebook, Twitter and WhatsApp. This can prevent the promotion of false notifications.